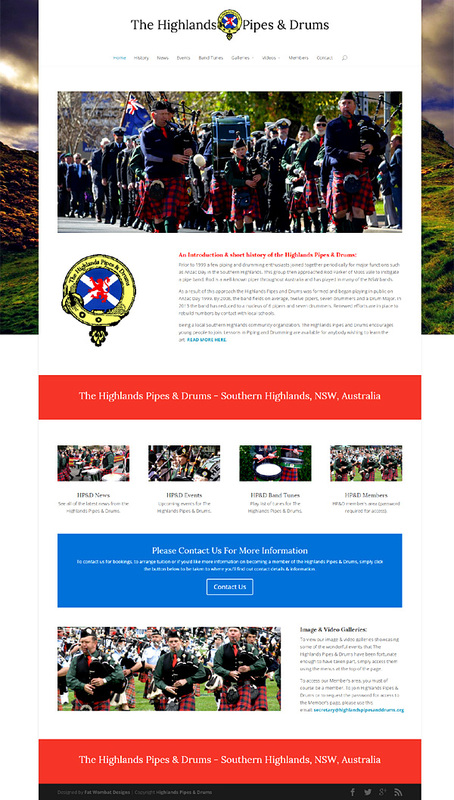 Highlands Pipes & Drums is a website built for a Southern Highlands Pipe Band who once had their own web presence but felt it time again to have their own space online where members and prospective members can gain information on upcoming events and activities as well news and events concerning members and the band itself. 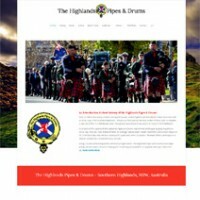 Built with WordPress the site was designed to be easily maintained by committee members and also contained a ”Member’s Only” area accessible only by password. The site also showcases the band’s activities though photo albums and video galleries.